DEBATE: Should Temple University Change Controversial Owls Logo? The year is 2015, college campuses are not at all free from the pressure of changing times. What some hail as social progress, others scorn as bullying in the name of overaggressive political correctness. Whatever it may be, the pressure has mounted on many schools to reconsider their longstanding mascots and traditions. Over the past two years, both Maranatha Baptist University in Wisconsin and Susquehanna University in Pennsylvania have dropped the mascot name “Crusaders”, both citing a desire to be more welcoming to diversity on campus. Many Owls Are Endangered: The International Union For Conservation Of Resources lists over 200 species of owls as either threatened or extinct, 85 of which are still experiencing decreasing populations. Hunting, the destruction of habitats, viruses, and other sources of destruction are decimating many owl populations. Meanwhile, Temple University continues to capitalize on the owl while ignoring its anguish. It is offensive to anybody who cares about the environment to represent the owl as a happy, cheerful species while its population is in such a dire state. 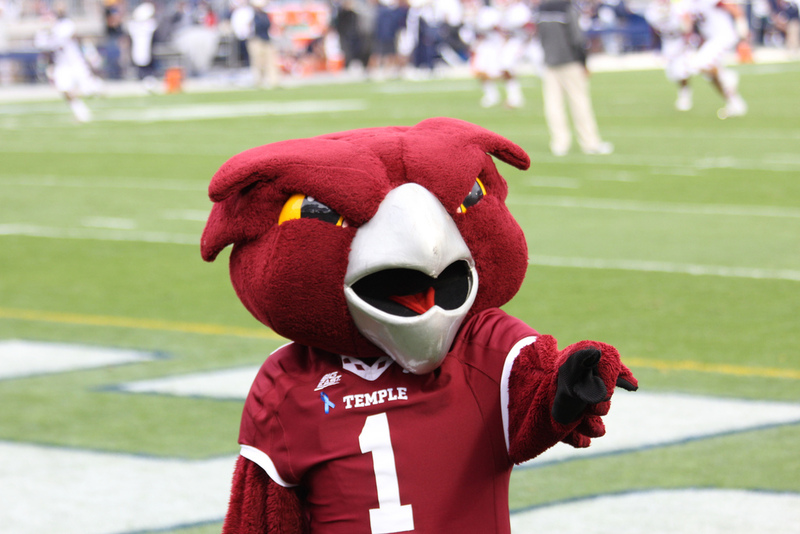 Offensive To Many Religions: It is ironic that Temple University is a Christian school because it continues to use a mascot who is offensive to members of many Christian religions. Owls were generally referred to as unclean in the bible. Leviticus 11:13-18 states that owls are included in the “birds you are to detest and not eat because thy are detestable.” The continued use of the owl as the mascot of Temple University is directly provoking Christianity. Offensive To Many Political Belief Systems: Owls are not monogamous animals. It is not uncommon at all for a female owl to mate AND reproduce with several male owls, leaving after each one to mate among different populations. Male owls are known to partake in the same mating patterns, engaging with multiple sexual partners. Unfair To Victims Of Owl Attacks: In 2014, a 58 year old man was hospitalized in Scotland after a large owl knocked him to the ground and attacked him in the back of the head, causing severe bleeding. The man recounted the encounter in horror, stating that he thought he was hit with a brick. This gentleman is not alone – several people are attacked by owls yearly, some sustaining permanent injuries. Should Temple University be sending this message to these victims, or should they feel welcomed on campus? People often write off these debates before putting themselves in the shoes of others. However, the existence of the Temple Owl sends a message of negativity to many groups. It may be time for Temple University and their Board Of Trustees to reconsider. ← Top 10 Philadelphia Musicians Of All Time! Boss-level satire. And Mr. King’s comment is the bonus. I can’t believe I just read something this bad.